Are you looking for the best dentist in Queens, NY? 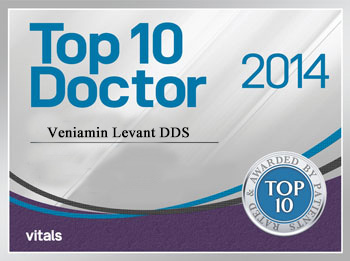 You have found the top, family-oriented, general and cosmetic dental practice. Nothing can replace experience, and our doctors have over 60 years of combined experience in the fields of general, cosmetic, and restorative dentistry. Our office is equipped with the latest digital tools such as digital x-rays, intra-oral cameras and 3D scanning and printing. Access to these tools enables our doctors to handle anything from fillings, veneers, and implants to more complicated full mouth restorations. Alliance Dental Center is an all inclusive dental center, conveniently located at 84-11 Northern Boulevard in the Jackson Heights area of Queens. The dental professionals of Alliance Dental Center have been serving the community at this location since 2002. If you are a New York City resident looking for the best dental experience and dentists in Queens, NY then look no further. The staff of Alliance Dental Center will provide you with a friendly, relaxed atmosphere, where you will be treated with kindness and respect. Don't take our word for it, read our reviews from our existing patients. While we are located in Queens we see patients that travel to us from all over the tri-state area. We perform a large number of procedures such as Fillings, Root Canal Treatment, Dental Crowns and Bridges, Dental Veneers, Dental Implants, Zoom Advanced Dental Whitening, and Dentures under one roof right in our office. Being able to provide all of these quality services in one location allows us to save you time by eliminate the need for time consuming and costly specialist referrals. Ready to Schedule? Request an appointment now! If you are considering a consultation at our office, please Call Us at (718) 424-7100 to schedule a convenient appointment with one of our dentists. During your consultation we will take digital x-rays of your teeth and will then examine your teeth utilizing a number of painless techniques and tools such as the Laser Caries Detector. You will also receive a professional dental cleaning and will be able to discuss all areas of concern with the Doctor. Our knowledgeable and wonderful staff will be able to answer most of your questions. The staff at Alliance Dental Center is very warm and welcoming. From the second you walk in, and until you leave, you feel like they are there by your side the whole visit! I hadn’t been to the dentist in a while, so I was nervous. I was very pleased with all of the staff, the service, and the modern equipment. The price was also very affordable for someone without insurance.